Dubai, UAE, February 13, 2018: Further expanding its knowledge-sharing commitment to the State of Kuwait, Siemens has signed a Memorandum of Understanding (MoU) with the Kuwait Foundation for the Advancement of Sciences (KFAS) and Sabah Al Ahmad Centre for Giftedness and Creativity (SACGC). The agreement establishes a strategic partnership between KFAS, SACGC and Siemens in different fields, designed to contribute to the digital transformation of Kuwait and to develop a highly-skilled local workforce. 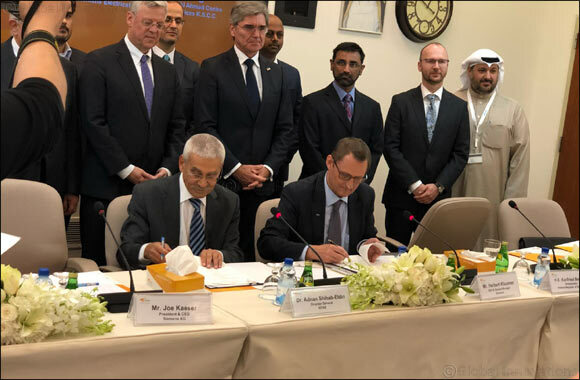 Siemens will cooperate with KFAS and SACGC in R&D and innovation, digital technologies as well as training and development of the local workforce. The move also highlights Siemens’ role as a technology partner for Kuwait, supporting the State’s Vision 2035.